Looking for an Active Adult Community in the Tampa, FL, Area? If you are thinking about buying a home in an active adult community, then the Tampa, Florida, area is an excellent place to start. 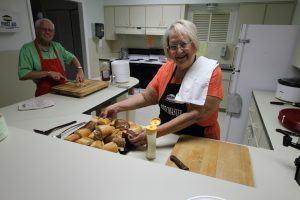 Long a magnet for retirees as well as “snow birds” looking for a respite from dreary weather up north, this part of Florida continues to draw people seeking a relatively low cost of living, plenty of fun activities, and of course lots of sunshine regardless of the time of year. StrawBerry Ridge is a 55+ community located just on the outskirts of Tampa, FL, in the quiet community of Valrico. Residents of our community benefit from living only a short drive from these and other excellent attractions. Quality shopping and first-rate medical facilities are also close by. To request more information about our active adult community near Tampa, FL, we encourage you to contact the Lifestyle Team at StrawBerry Ridge today. Owned and managed by the award-winning developer Blair Group, StrawBerry Ridge caters to adults 55 and older who want to devote this stage in their life having fun, staying active, and enjoying the Florida climate in the company of friendly neighbors.